This day has been lazy but productive. 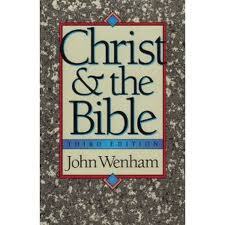 I decided to review the first three sessions of the class I am taking on “The Christ in the Bible” and prepare for the fourth. We are not using the book shown above but the title was close. I will readily admit that I have very little background for such a course involving metaphysics and I have more or less been in a fog of non-understanding. Since starting the course I have purchased a couple of reference books which I tackled with zeal today. It was with amazement that I realized that some of the material was actually sinking into my slowly mummifying brain. I know I have a much better understanding of the material we are going to cover tomorrow. Too bad it’s only a five week course. I am a Facebook addict. I spend much too much time sharing links with others whom I have friended. I was really disturbed when I read today that come next March, Zuch is closing down FB. However, I also found a site that says it’s a hoax. I have reconnected with so many friends I am really sad at the thought that this might actually happen, which it may or may not do. It’s strange how a single question or a brief hello means so much. It’s the primary way I communicate one sentence at a time with my son. It’s how I saw my Grandbaby’s first picture…all seven centimeters of the tiny body which has to wait six more months to make the grand entrance. I also spend way too much time playing the computer games. The only one I really compete with my friends is Bejeweled Blitz. I don’t use any extra game aids or the Phoenix unless one of my friends passes my score. Then I pull out the guns and rev up the mouse to see if I can crawl to the top of the chart again. Some weeks I stay up there, others I just don’t seem to make it after my score is passed. As of this time, I’m back on top probably only for a few hours. A few weeks ago we discussed The Tao of Willie in my Sunday class. I thought it sounded intriguing so I ordered on Amazon. I wonder if Willie Nelson is aware that his book is selling for $0.01 with $3.99 shipping charges. Somebody must really want to get rid of a bunch of books. The price inside the cover says the price is $20.00. I haven’t read all of it, but what I have read today has been good. If it stays as good I might even write a letter to Willie to tell him how much I appreciated it. I’ve never thanked an author before. There’s always a first. Over the past few years I’ve been introduced to a lot of books on life among which is The Tao Te Ching. It’s one of those books you can read in one half hour and study for a life time. 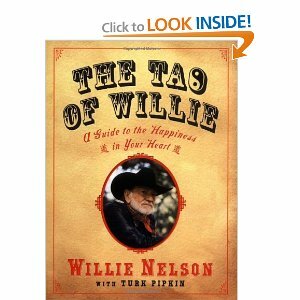 Willie’s book is his take on the Tao. I’m learning that it’s OK to learn what other sages have tried to show us through the ages. We are here to learn, so we might as well open ourselves up to as much knowledge as possible. My thirst for help in finding my way is as powerful as staying out in the sun too long without water on a hot Texas summer day. There is a definite need stirring within me. I regret it took me so long to start my search to quench my thirst. Why doesn’t Santa stay in stores year round? I try to start my day with positive uplifting information. Today was not one of those days. I read in our local paper about Santa arriving in Hurst this weekend. When I was really young all we had was a parade when Santa came to town. He then sat on his “throne” in the department store and we stood in line to see him. I remember gazing at the wonderful window displays downtown. My Christmas in Illinois was not unlike Ralphie’s Christmas in Indiana. A few years later when I was in third or fourth grade I could watch THE Parade on Thanksgiving Day on television. By that time I was no longer taken to the parade but it was still a thrill to see Santa arrive at the end in his big sleigh. 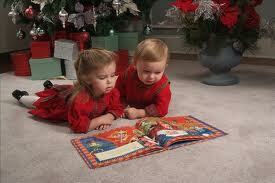 Thanksgiving Day ( or a day close to it) meant the start of Christmas to the children. Now stores are putting up Christmas decorations before Halloween and sometimes immediately after the Back to Schools sale. And Santa is arriving earlier than ever. November 5? Really? The stores say “they are starting early because there is a demand.” Really? It’s not from mothers who are hassled and harassed every day by young children who demand to know how much longer. It’s not from fathers who traditionally wait until the last day to shop any way. Who is actually causing the demand? This event is taking place at Bass Pro Shop, which features “fishing tackle and equipment, hunting, camping, marine, and outdoors supplies, plus clothing”. Firefighters are going to pick him up at the “remote sleigh parking area” and drive him to the food court. I’m curious as to who is picking up the tab for this ride. I have accepted the fact that Christmas and commercialism go hand in hand. After all, Macy’s first parade in New York was way before my birth. It was done to draw people to the Macy’s store instead of Gimbel’s. I guess maybe it was in answer to Gimbel’s parade in Philadelphia. I don’t know. Maybe I have that backwards. That’s not the point. Actually, today I am not certain as to what my point is. Other than Americans have allowed their children to be persuaded and manipulated by mass media and mass commerce from the time of their birth. Little girls no longer are allowed to be little girls. They are bombarded by clothing and behaviors that were once reserved for mid teens. 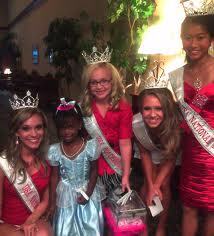 Babies before they can walk are entered into beauty contests. By the time they are three, they are sexual objects. They all want to be like teenagers even when they are as young as kindergarteners. The milk they drink is laced with hormones that start their puberty by second and third grade. Little boys? They have their pressures too. What does that have to do with Christmas? Santa to me is the spirit of giving. Christmas is a time of wonder for little imaginations. We have turned it into a season of me me me. 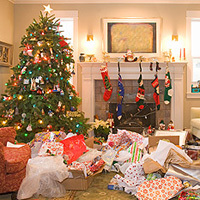 Parents go into debt trying to satisfy the greed they nourish in their children that so often starts with early Christmas. Almost two months is an awfully long time for children to have to wait. Seven weeks is an eternity. 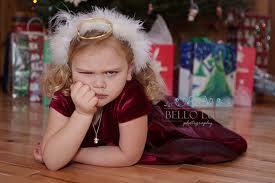 If Santa comes the first weekend in November, by Christmas all the joyous feelings will long be gone. Attention spans are just not that long. Anticipation will be replaced by apathy. Either that or the stress caused by the unending anticipation will cause their little bodies more harm. My argument has nothing to do with the birth of Jesus which is well known to not have occurred on December 25. So responders, if any, do not have to go into the real “reason for the season”. It has to do with the insatiable desire to hook customers at a younger and younger age. It has to do with robbing children of their childhood. 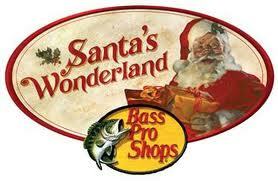 It has to do with stores like Bass Pro Shops baiting children to try to get their fathers to shop early. OK that’s sexist I know but look at what they sell. America has gone crazy with Christmas. I think it’s time to restore the sanity. I’d love to hear that this event was a big bust. Not that I have anything against the store. My beef is with stores like them who are like the Grinch who stole Christmas! Let’s keep the Christmas season at least confined to the month before the actual date. That’s long enough for any child to have to wait. Otherwise, let’s just keep Santa in stores year round and he can become an ignored fixture that kids pass by without paying any attention. We can then admit that there is no longer a “season” for joy and GIVING! Comments Off on Why doesn’t Santa stay in stores year round? 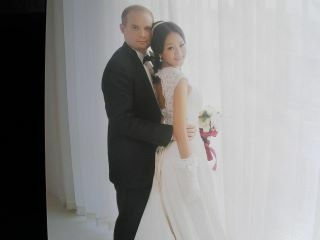 The day of the wedding finally arrived. The four of us went down to breakfast again and my son joined us at to our hotel (it was a five minute walk) around 9:00 a.m. It was the same strange serving as the day before. The restaurant was all set up for another wedding but they were allowing people to eat breakfast. We waited for the photographer and videographer and then returned to the room. When they arrived, they proceeded to get all the pre-wedding pictures that are usually taken. We noticed that the air in Becky and Bob’s room was not on either. We opened the window but there was little circulation. My son was already dressed for the day, but he had to undress for the pictures. They couldn’t take the pictures at the apartment because that was where Julie and her bridesmaids were preparing for the day. So…make believe time. Nathan took off his shirt and tie and pretended to be putting on his undershirt. Then Bob helped him tie his tie. I think he took off and put on his socks and shoes as well, but I’ll have to wait until I see the pictures. All this time both of the camera guys were shooting pictures of everything else that was going on in the room. It was really a crowded place. Nathan had brought a bouquet (the first one) to the room with him because that was part of the tradition that he present flowers to his loved one. With all the people passing it around, it started to wilt rather quickly. Nathan called and was told things were not ready yet so we just waited around. Finally, we were given permission to go over to the apartment. When we arrived, the place was filled with relatives. We could hardly walk around. Julie was in her first dress of the day. There were pictures of honoring grandmother and then me (it was the first time she was supposed to call me Mom.) After Julie bowed to us, we handed her red envelopes with money inside. A young male cousin jumped on the bed, her parents prepared a basket of personal items to be taken to the groom’s home, a male cousin nailed up a red curtain for which I paid him. Nathan was barred from Julie’s room by the bridesmaids and then had to “fight” his way in to his love. He had to find her shoe and put it on her foot. He knelt beside the bed and presented the bouquet (further wilting had taken place). One of the maids and Bob (one of the groomsmen) sat with Nathan and Julie and ate dumplings and then all tried to feed him a dumpling at the same time. Her mother and aunts had spent hours preparing 400 dumplings for the day to feed the family. We all stood around and watched the proceedings. I later asked Julie what some of these traditions meant and she said she had no idea. It was just something they did. Although the hotel had moved my friend and me by that time to another room, it was obvious that the room next door did not have air conditioning either. Becky and Bob were upset that they didn’t have a king size bed. There were not quite double beds instead. It was decided that as soon as the picture taking session was over we were moving to a different hotel. The Howard Johnson Hotel was about a block away from where the wedding was taking place. It was much nicer. The first hotel would have been acceptable if the A/C had worked. Now we were in a hotel, it turned out, that the A/C worked too well. Later that night, we got up around 2 a.m. and turned the A/C off! That afternoon the entire wedding party traveled to the park for outdoor pictures of the entire group…all the bridesmaids and groomsmen, bride and groom. I don’t know if her parents went with them or not but by that time I was really losing steam. I opted to take a nap instead. As a result, I realized when the wedding was over that there were no pictures of me posed with my son and his new wife by ourselves. Oh well! Thankfully there was enough time to recharge our energy and get dressed for the wedding. It had been warm and humid all day. By the time of the wedding, the weather seemed perfect.